The mission of Jazz Journeys is to bring young professional jazz artists from America together with global communities through educational outreach, interactive workshops, and performances, in an effort to enrich and expand a global community for jazz through performance, education, and advocacy. Why jazz? Jazz is a fundamentally ideal genre for musical diplomacy. Improvisation celebrates personal freedom and encourages individual expression, diversity, and finding common ground. Jazz musicians also fulfill all nine national standards for music education, including improvising melodies, performing alone and with others, reading and composing music, analyzing and describing music, and understanding music in relation to history and culture. Jazz provides a unique lens that allows people from very different cultures to see each other with crystal clarity. Jazz Journeys seeks to utilize the best up-and-coming talent from America who excel at performance and have a passion for teaching. Many of these artists, although highly educated and experienced, may have never had the opportunity to perform an international audience. Jazz Journeys: Sri Lanka is working in conjunction with the US Embassy in Colombo, Sri Lanka, as well as MusicMatters Sri Lanka. 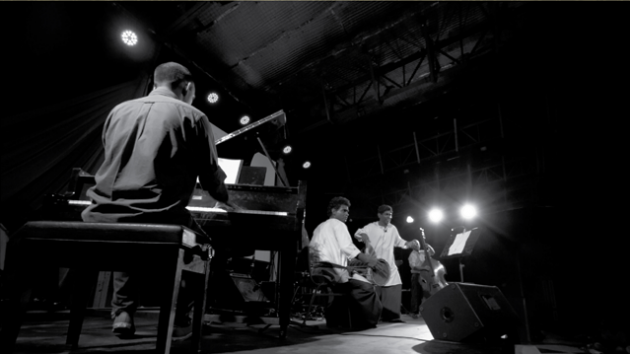 For the last three weeks in July 2015, Jazz Journeys will present lecture demonstrations, interactive workshops, and performances open to the public at universities and cultural centers in Colombo, Kandy, and recently war-torn Jaffna region. Participants will receive educational materials that supplement the interactive musical experience, including ebooks and workbooks, compositional aides, and recordings. My hope is that Jazz Journeys: Sri Lanka empowers a generation of self-sustaining musicians to use their newly-earned skills to write and share new music internationally, and to use these tools to better understand the music around them and to engage in a global conversation about music, arts, and culture. If you would like to support this cause, Jazz Journeys: Sri Lanka could use your help! Please consider making a small contribution on our GoFundMe page and help spread the joy of jazz around the world!